Welcome to the 50th edition of Inclusion Now 50. Audio and text versions are in the articles below. In our 50th edition ALLFIE’s Chair, Navin Kikabhai, looks back – and forwards. Maresa McKeith appeared on the cover of the very first edition of Inclusion Now in Spring 2001 and is now a writer. We asked her to tell us about her journey. Tollgate Primary School in Plaistow, East London, has a reputation for being an inclusive school. Richard Rieser and Yvonne Brouwers visited to see how this works in practice. For Yvonne, who lives locally, this was an interesting opportunity to write about an inclusive school in her own community. We asked some leading supporters of inclusion to tell us what has changed since 2001 and about their aspirations for the future. 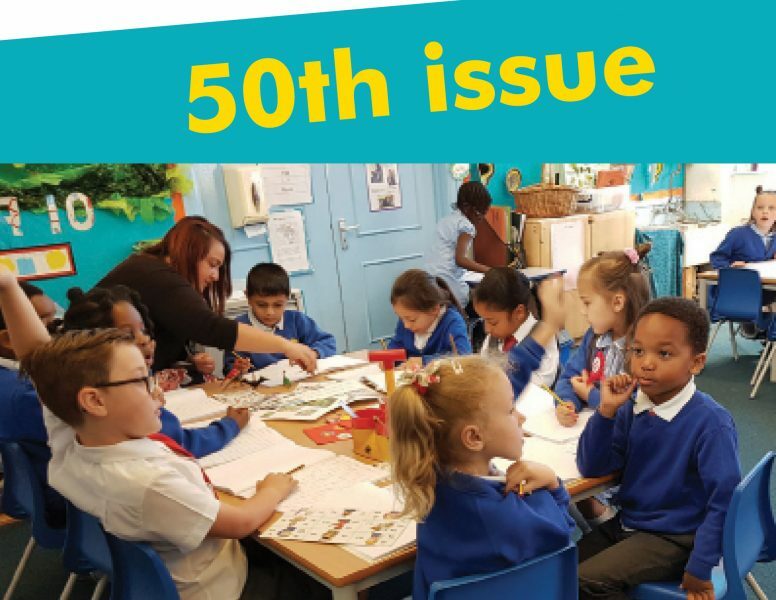 For this 50th edition of Inclusion Now we’ve created a timeline of major milestones reflected in the magazine, so here it is – as a game of snakes and ladders! Following on from our article in the last edition about the current assault on inclusion, Richard Rieser and Tara Flood look at what needs to change in the education system. Angie Northwood talks about her daughter Molly and working with Inclusive Solutions on a learning path for her. Richard Rieser interviews Mary Bousted and Kevin Courtney, joint General Secretaries of the new National Education Union (NEU) about their interest in inclusion.